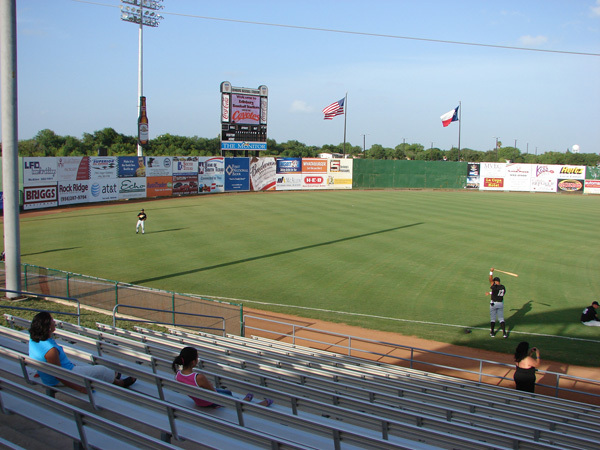 The Edinburg Coyotes, a team in the independent United League, play at Edinburg Baseball Stadium, which was built in 2001. 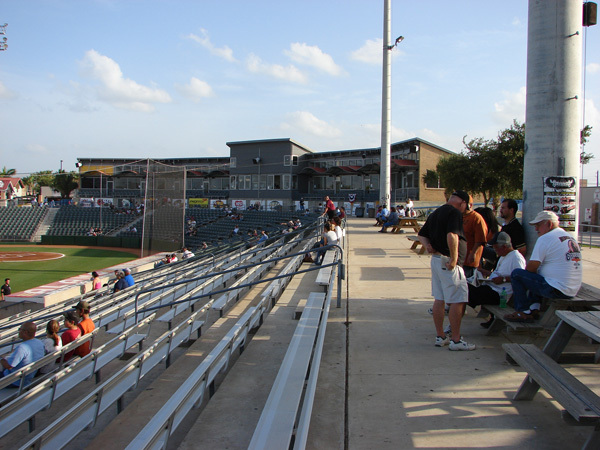 It has a seating capacity of 5,500. 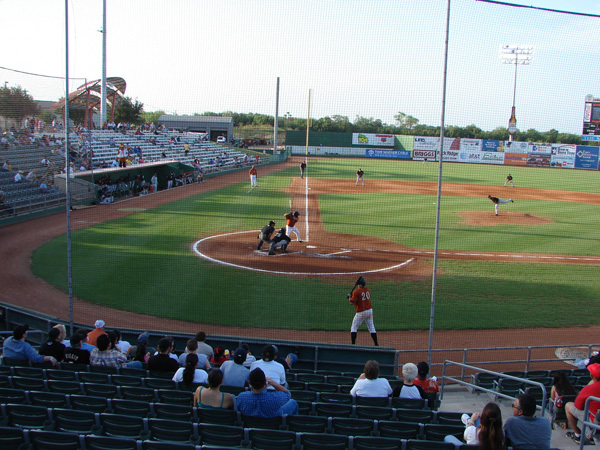 This is a nice stadium, with no overhead roofing. 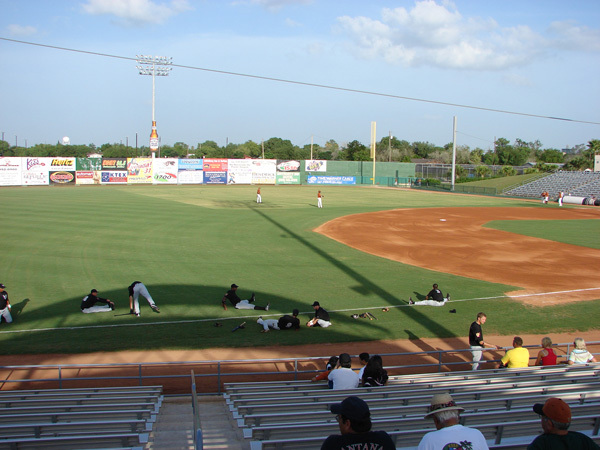 There is shade behind home and down the 3rd base line. 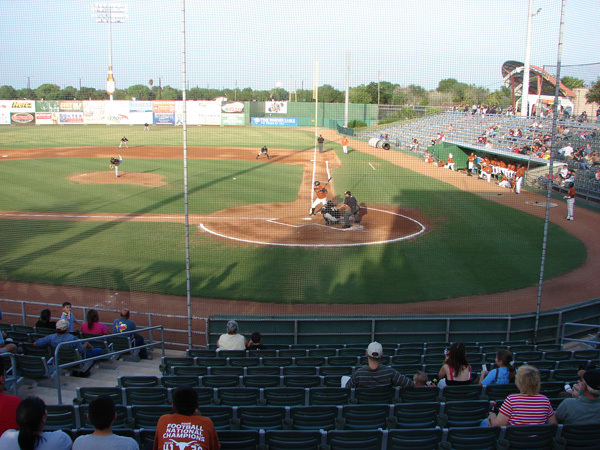 The Coyotes were playing the Rio Grande Valley Whitewings and won 5-4. 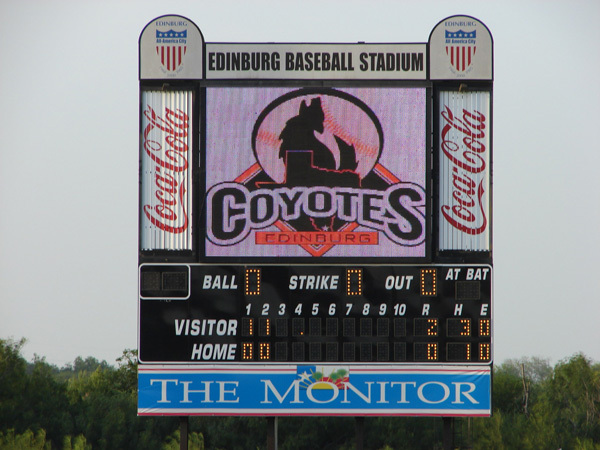 The box score was Whitewings R-4, H-9, E-1 and Coyotes R-5, H-12, E-0. The field lines are RF325', CF-405', & LF-325'. 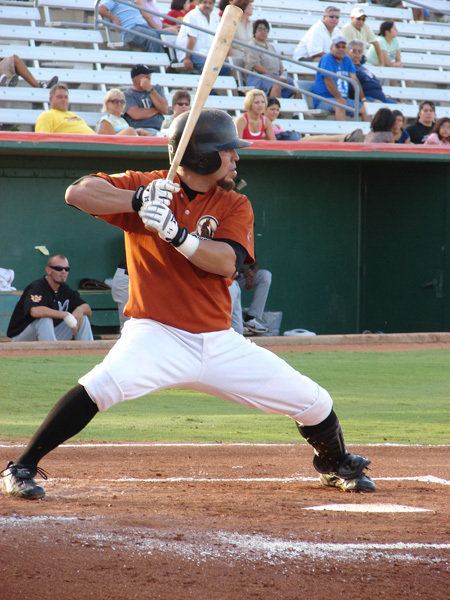 Eric Gonzalez is a hometown favorite living in nearby La Feria. 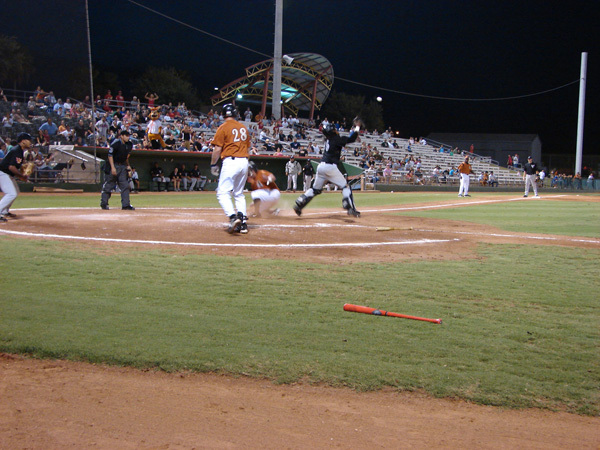 He is #2 and is shown with a very wide crouching open stance, leading off at 3rd, and scoring a run. Sitting down the 3rd base line are the members of the Third Baseline Club. 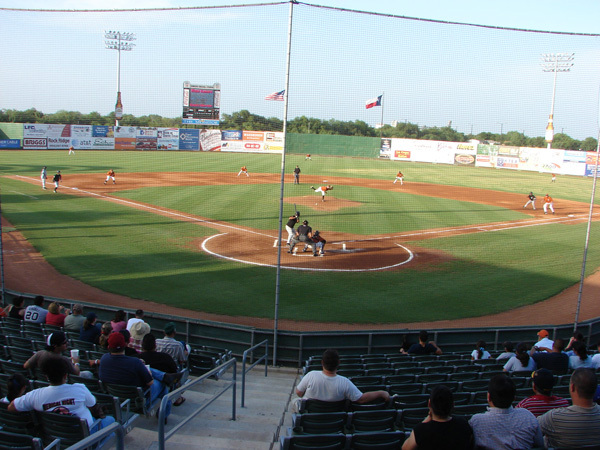 In the white t-shirt and dark cap is Miguel Gonzales, Eric's father. 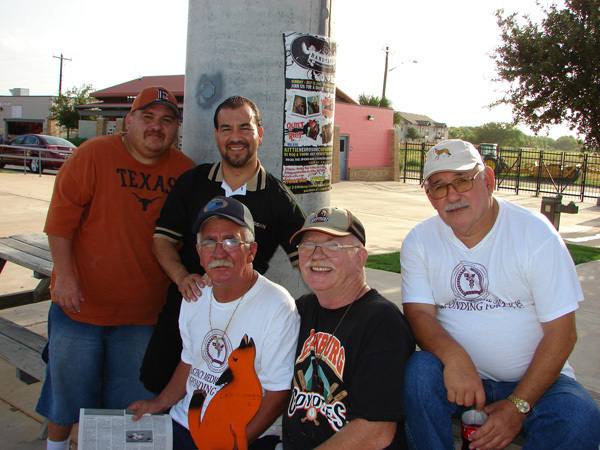 One of the prior members made wooden coyotes for all the members. 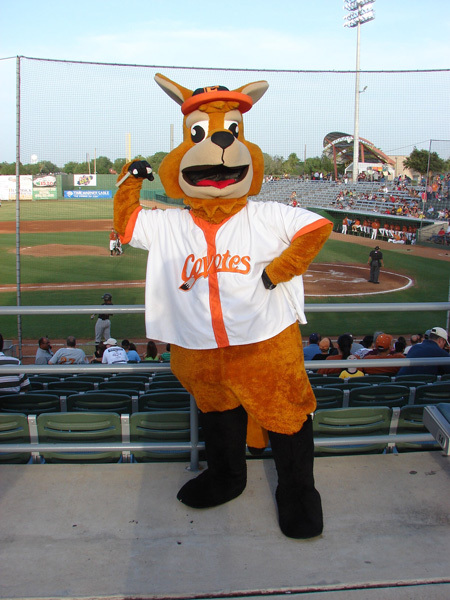 In the black shirt is Cody the mascot not wearing his costume. A slight difference in the between inning Dizzy Bat Race. This time the participants have to take the bat with them and hit a ball off of a T-Ball Tee. 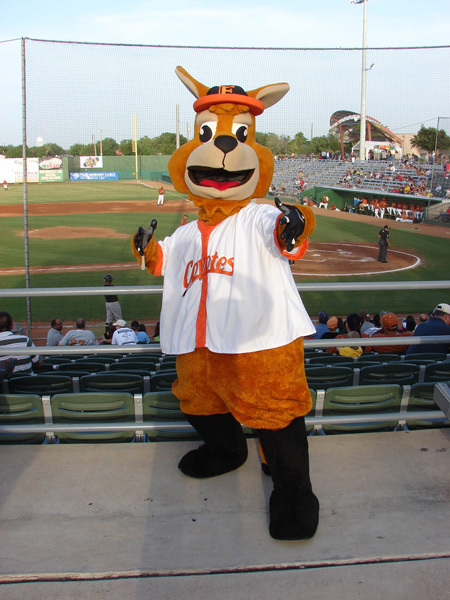 If a specifically named Coyote's batter gets a hit or visitor batter strikes out they have $1 beer for 10 minutes. The Funnel Cake Man goes through the stands taking orders for funnel cake. 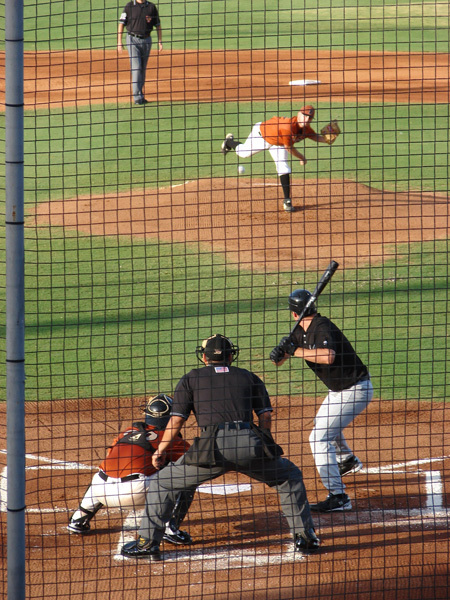 Adam Clay, a Coyote's pitcher, has an interesting pre-pitch custom of bending his right knee twice and then slapping his thigh twice. 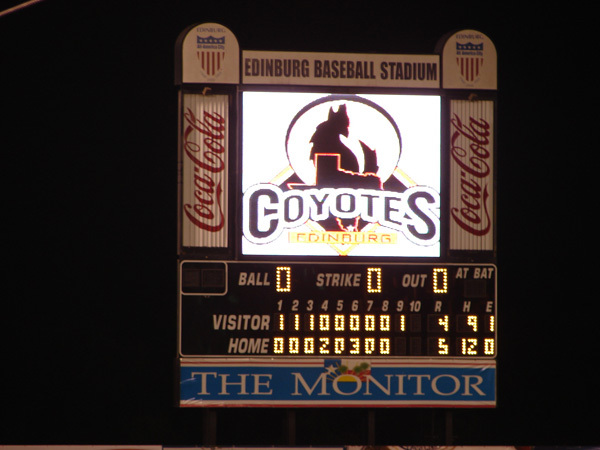 With two out in the bottom of the 9th everyone starts howling like a coyotes. This was significant tonight as the White Wings had two on base. 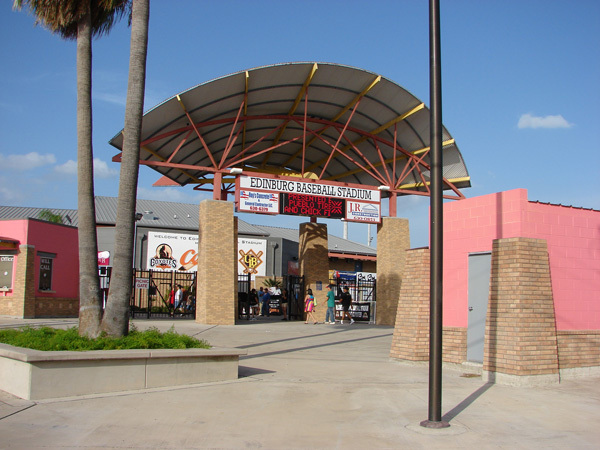 2009 become the Edinburg Roadrunners with new logo. 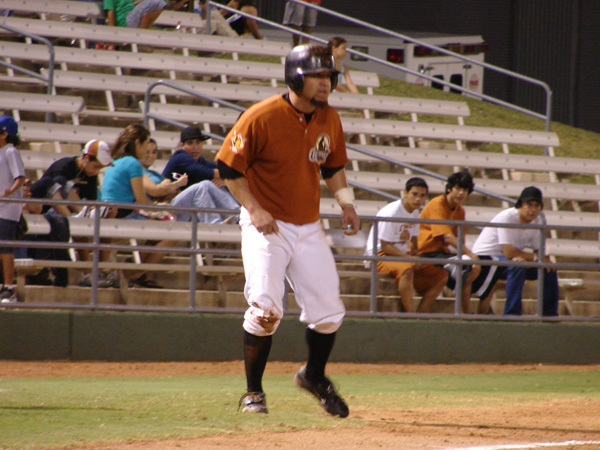 2011 move to the North American League. 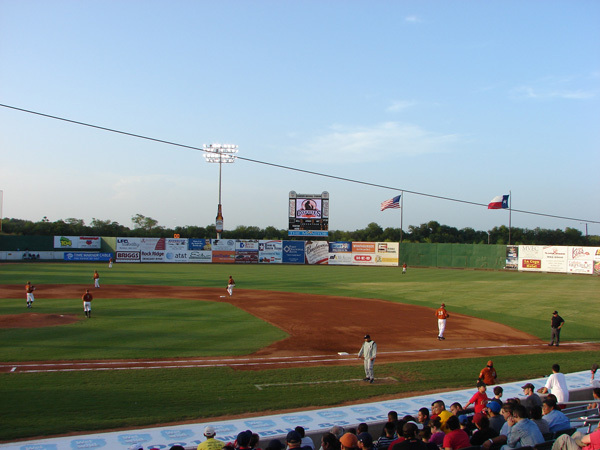 Closed down after 2012 season. 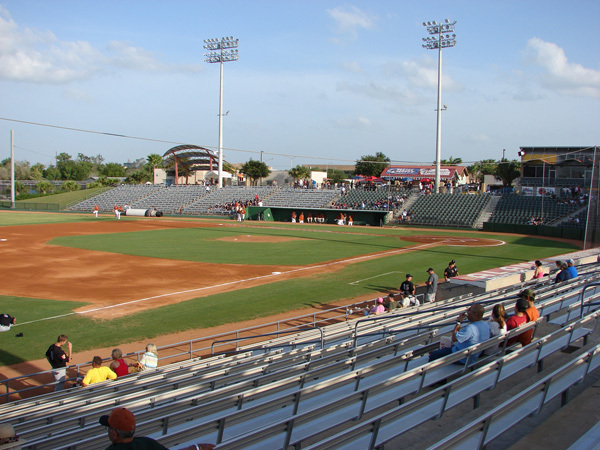 Edinburg Scenic Wetlands - offers various forms of widlife viewing on its 40 acres. Fee. Museum of South Texas History - two facilities: a state-of-the-art museum and the 1910 Old County Jail Annex. Fee.